The Usbourne Children’s Bible takes all of the best-known and most cherished tales from the Old and New Testament and superbly retells them in a language that is simple for young children to understand and enjoy. Featuring beautiful, colourful illustrations by Linda Edwards, your little one will find themselves captivated by the classic stories from start to finish. Heather Amery lent her pen to the adapted stories, which are printed in bold, easy-to-read print to help your child along as they develop their language awareness and reading ability. The lovely stories are the ideal calming tool before bed, or a long drive with the family. 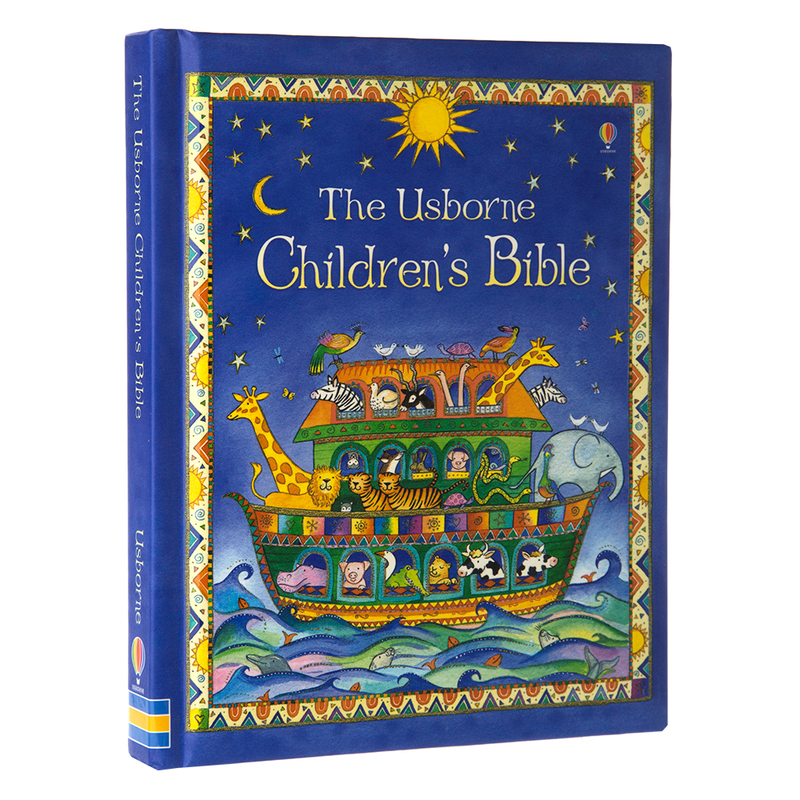 Usbourne Children’s Bible - it’s the perfect introduction to wonderful stories and characters of the Bible. Retold by Heather Amery, with beautiful illustrations by Linda Edwards. Includes the best known and most cherished stories from both the Old and New Testament. Bold, easy-to-read text helps to develop your child’s language awareness and reading ability. Presented in a way that young listeners and readers will find easy to understand and enjoy. Dimensions: 14cm (w) x 17.5cm (h) x 2.5cm (d).